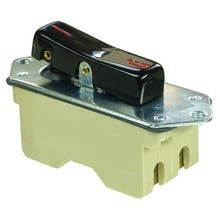 2-pole power tool switch, off-switch, up to 20A motor load usable. Suitable for devices the of the protection class II. 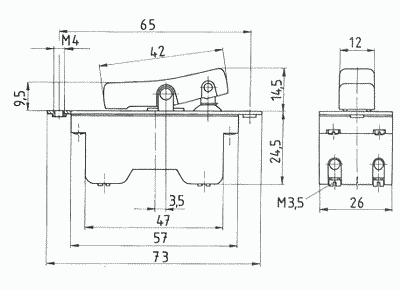 The switch has an additional contact spring integrated, which prevents an automated shut-off by vibration. therefore it is suitable for vibrators e.g. from Vibratec.